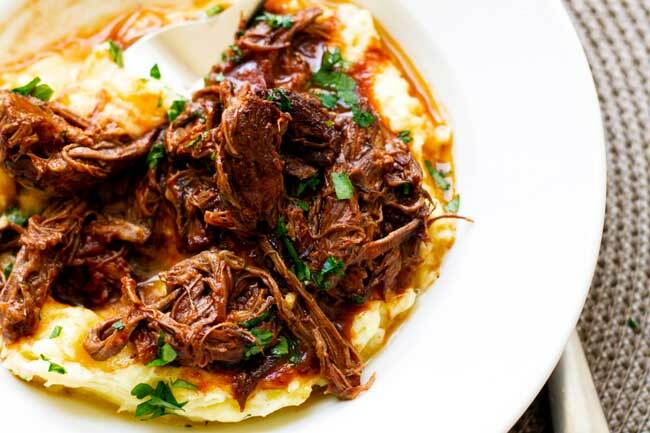 Tender short ribs in a tomato red wine sauce with Parmesan mashed potatoes – this hearty slow-cooked short rib ragu is worth the time! Grab the recipe and be sure to check out more of my delicious beef recipes! In our house, there are two kinds of cooking – weekday and weekend. It’s a simple way to classify, but I find that during the week it’s all about speed and simplicity, while the weekends are the opposite. With the extra time, I tend to slow down in the kitchen and I don’t get bothered by lots of steps, lots of pans, and lots of time spent in the kitchen. During the week I love short-cuts and quick wins, but I tend to focus more on the process when I cook on the weekends. Cooking from scratch, taking my time with steps, and challenging myself with recipes and ideas I can’t imagine trying to execute during the week after a long day at work. I guess my weekdays are more Rachael Ray, while the weekends are more Julia Child. This slow-cooked short rib ragu is a great weekend cooking project. It can’t be rushed. There’s no dumping and stirring. 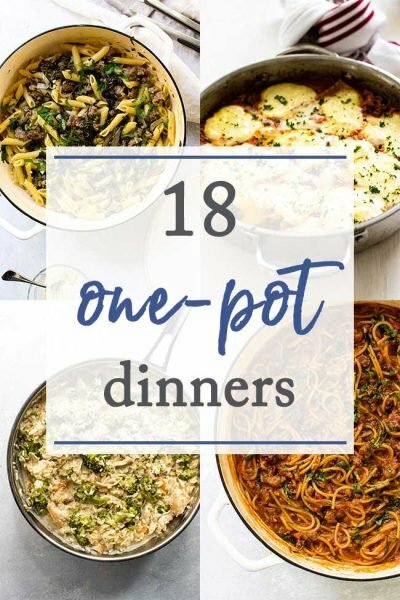 It’s not a one-pot wonder. There’s a lot of chopping, dicing, searing, deglazing, simmering, straining, reducing, and shredding and all of it is necessary to develop a rich and complex sauce. Dumping it all in a crock pot for eight hours just won’t produce the same result. You can’t set it and forget it. 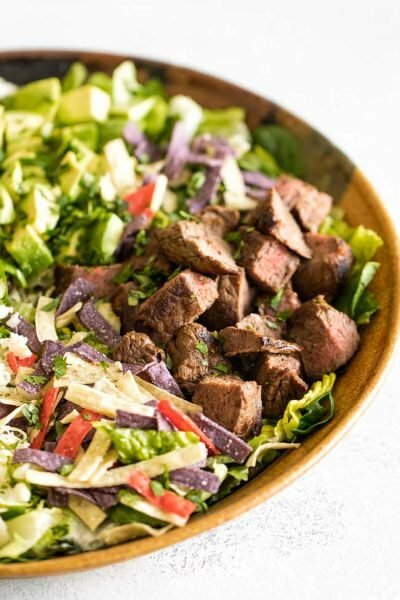 The time investment to make this dish is well worth it – one bite of the tender, melt-in-your-mouth beef will make you so happy and so comforted you will try and figure out how to make this a rotating dinner in your weekend line-up. In an unexpected turn of events, I paired this rich and hearty red wine and tomato beef ragu with some parmesan mashed potatoes, which make a delicious base for all the rich sauce and beef, but it can easily be served with pasta. We also used some leftovers for sandwiches by piling the shredded beef onto soft rolls with a drizzle of sauce. Depending on how many you have to feed, you should get some mileage out of this one making the time investment even more worthwhile. I used boneless short ribs, which are readily available at most grocery stores. Carrots, celery, onion, and garlic are sauteed in the same pan as the short ribs and soak up all the beefy flavor. Red wine and tomatoes are the base for the braising liquid. I served my ragu with mashed potatoes made with Yukon Gold potatoes, butter, sour cream, and grated Parmesan cheese. This slow-cooked short rib ragu is hearty and comforting. The short ribs are simmered in the oven until they are fall-apart-tender. Interested in a slow cooker version? 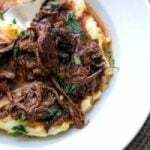 Check out my slow cooker short rib ragu! In a large dutch oven or stock pot heat the vegetable oil over medium-high heat. Add the short ribs and brown on all sides until the outside is nicely caramelized. I had to do this in 3 batches so the pan wouldn’t be too crowded. Once browned, remove the ribs from the pot and set aside. Reduce the heat to medium and add the diced carrots, celery, and onion. Cook for about ten minutes until the vegetables have softened. Add the garlic and cook for another couple of minutes. Stir in the tomato paste until all of the veggies are coated. Sprinkle in the flour and stir to coat all of the vegetables. Continue to cook the mixture for another few minutes. Pour in the wine and increase the heat until the pot begins to simmer. Deglaze the pot by scraping the bottom with the spatula to pull up all of the browned bits. Next, add the tomatoes, first squishing each with your hands and all of the juice from the can. Pour in 2 cups of water and stir. Then add the short ribs back to the pot. Be sure they are completely covered by the liquid. If needed, add more water to ensure they are covered. Toss in the parsley (no need to chop it) and give it all a big stir. Bring the pot to a strong simmer (increase the heat if needed) and then cover it, remove it from the heat and transfer it to the preheated oven. Let it simmer in the oven for 2-3 hours, or until the beef is fork tender. For me, it took about 2 1/2 hours – start checking yours at the 2-hour mark. Once the beef is fork tender, remove the pot from the oven. Remove the short ribs from the pot and set aside. Using a fine mesh strainer, carefully strain the liquid into a large sauce pot. Press on the solids to extract all of the liquid before discarding them. Shred the short ribs before adding them to the sauce. Bring the sauce to a simmer over medium-high heat. You want the sauce to thicken and reduce, which will take at least 30 minutes or so. While the sauce is reducing periodically skim the surface to remove the fat. Drain the potatoes and return them to the cooking pot. Add in the butter and, using a potato masher, mash up all of the potatoes along with the butter. Add the sour cream and parmesan cheese and stir well to combine. Season to taste with salt and pepper. Once the potatoes are done the sauce should be ready. Don’t worry if the sauce isn’t ready, you can keep the potatoes warm on the stove until the sauce has thickened. 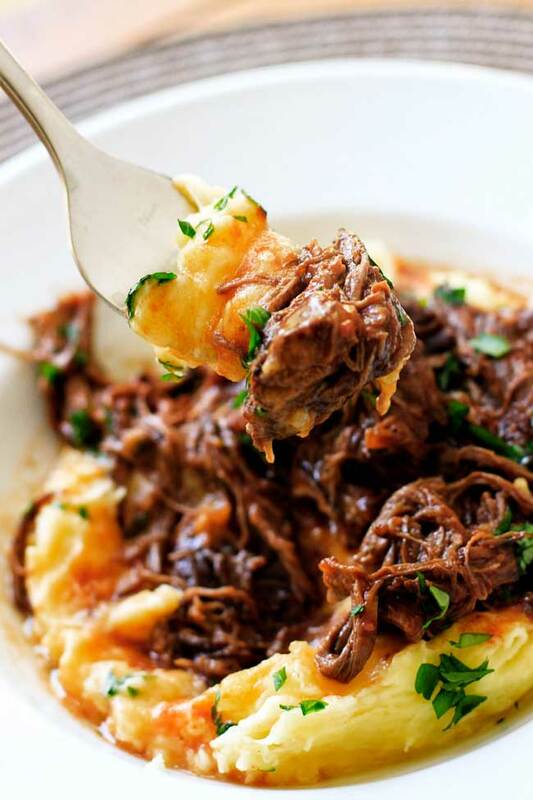 Serve the ragu on top of the parmesan mashed potatoes. Garnish with chopped parsley. 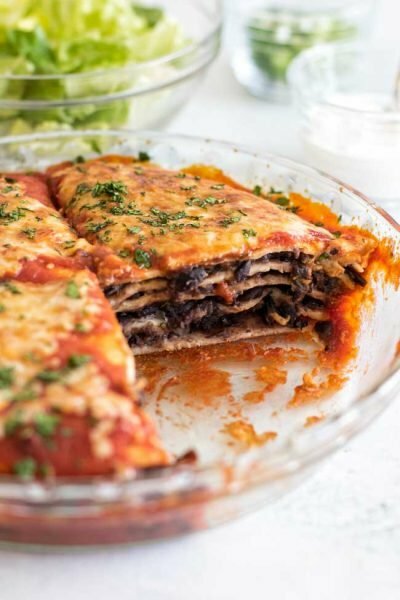 I have made this recipe many times as it is always a hit! I was wondering if I could do all the way up to step 5 the night before and then put it in the fridge until tomorrow and then put it in the oven to cook? Would it taste different? Hi Shea! I haven’t tried it, but I think it would work fine. You might want to bring the pot to a simmer on the stove to warm it up before putting it the oven – good luck! Very good dish. I used a London broil and I put the veggies back in at the end. I did the prep work with the meat and veggies on the stove and then put it all in my slow cooker all day. Absolutely delish! Good comfort food….thanks for sharing! I made this for Sunday dinner. It was easy and delicious! I will be making it again soon. I only made the ribs, not the potatoes. I made this for dinner last night. WOW! Delicious! I wished I had company so I could of shared this recipe! I feel the same way too, easy during the week but I love to take my time and enjoy it on the weekends. Have any recommendations for this coming weekend? YUMMMMMM!!! I just made this and everyone had a 2nd plate. I went a little light on the salt, as I always do. Next time I will add more while cooking. Not as difficult as I thought it would be to make. Next. Time I am keeping in the veggies. I love the addition of ricotta – the cool and creamy cheese sounds like a nice complement to the rich beef. Thank you for letting me know! This was delicious. I served with pasta and it got rave reviews! Thank you. This was amazing! I had family over for Sunday dinner and decided to make this. Everyone kept raving about it! I knew the carrots would be out of this world good, so I left all the veggies as is instead of straining them out. I also didn’t finish reading the recipe and therefore didn’t realize I was supposed to reduce the sauce and skim the fat off, but it came out so delicious anyway! Thanks so much for this recipe! Hi Leah – a good rule of thumb is to use a red wine that you like to drink. I like to use a pinot noir, but a merlot or cabernet would work well, too. I just made this recipe as a Sunday night treat for my husband and I. It was amazing! Felt like an expensive restaurant meal. Took all day, but it wasn’t actually too hard to make. I plan to make this the next time my mother in law comes over! Has anyone tried cooking this in advance and reheating? I am looking to do this for Christmas dinner and any advance work is welcome. Hi Jeff! You can make this in advance and keep it in the fridge – I’ve made batches that I keep in the fridge and a it’s still as good as the day it was made. To re-heat it I recommend warming it in a pot on the stove. Hope that helps! Does this really need 2 stalks of celery or is it 2 ribs of celery? Good point! Thanks for pointing that out – you’re right, it’s 2 ribs 🙂 Updating the recipe! This was a so delicious and a big hit. I’m looking at doubling the recipe and cooking in a slow cooker. Has anyone tried? If so how did you convert the recipe for a slow cooker? Hi Maureen, I’m so glad you liked it! I haven’t tried this in the slow cooker and it would require adjustments to make it work. In the original recipe the sauce first reduces the oven since it’s cooked uncovered and then it’s further thickened on the stove. This wouldn’t happen in the slow cooker, so reducing the amount of liquid used would be important and you may want to still reduce the sauce on the stove. Let me know if you try it and how it turns out. Hi did you use boneless short ribs or bone in? I made this on Saturday, this past weekend and wow. It was absolutely delicious. I love to cook like you, quick and easy during the weekend and explore real flavors on the weekend. This recipe was just that. Real flavors. I also made the mashed potatoes, which were absolutely perfect. Thank you for sharing this. It’s a keeper! Thanks so much, Julie! This is a great weekend project – one of my all time favorites, so happy to hear you enjoyed it! Hi Ashley! I haven’t made this in the slow-cooker, but I’ve made other short rib recipes using my slow cooker and it’s worked fine. I recommend following the steps through step 5, except instead of transferring the pot to the oven, go ahead and place everything in the slow cooker. Depending on the size of yours, you may not need as much water – just make sure everything is covered with liquid. If you really want to shorten the process, you could skip cooking the veggies and just add them straight to the slow cooker, however I would still brown the beef in a pan. Then just use some wine to deglaze the pan and then add that liquid and the beef to the slow cooker with the veggies and liquid. Cook it all on low for 6-8 hours – hope this helps! My 11 year old and I made this for supper tonight – absolutely amazing and she was so proud to make such a fancy meal. Worth every minute! This looks amazing! I can’t wait to try it! One quick question though… can I use another cut of meat? I just bought a half of a cow and I have plenty of roasts and sirloin steaks but no short ribs. Thank you for you time! Hi Tiffany! I haven’t tried this recipe with a different cut of meat, but any cut of beef you would use for a pot roast should work fine (i.e. round or chuck). You will want to adjust the cooking time, as well, depending on how tough a cut your are using – short ribs have a lot of fat, so a leaner cut may need more time. Hope that helps! I just made a two day roasted pepper/tomato marinara sauce. Wow It’s good, but not a quicky. Your dinner here looks worth the work alright. Slow savory sauces and meats are in a class by themselves. This just looks divine! Thanks, Diane! I love a slow-cooked meal – they’re the best! Oh my Lord! That looks so damn good! I’ve never tried short ribs before, but I’d love to try this yumminess! This is my kinda food and it is coming up to slow cooking season for me when I love dishes that require a little bit of care an attention, I may have to double quantities of it though as I think this would make a wonderful sandwich/bread roll filling, not to mention flipping upside down adding a few vegetables and baking in the oven with the mashed potato on top. So much great food from a days worth of work, my kinda cooking! I love the idea of using this for sandwiches! Everything about this is stunning! I need to make this! I can seriously taste the deep rich flavors of this dish through the screen!! I realized how hungry I am as I was drooling over your photos! I’m definitely adding this to our meal plan for the next month. Delicious!!! I totally agree with the weekend project/simple weeknight ideas, but this looks like a project worth taking on! You’re photography is stunning! What a delicious plate of food! Seriously, this is wholesome satisfying comfort food at it’s best!! 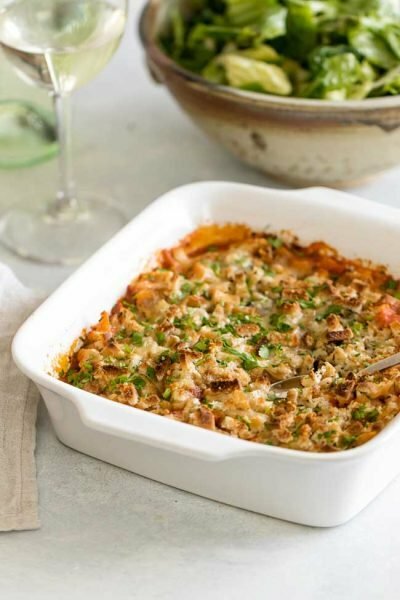 Another one of your recipes that has me drooling! This I will be making very soon. Looks so delicious. This recipe is delicious!!! I made it yesterday, it does take a long time, but it’s SO worth the time! Next time, I plan on moving some of the steps to my pressure cooker and using a hand blender to purée the gravy. My kids thanked me over and over and begged me to make it again. Thanks for sharing such an awesome recipe!! I never comment on blogs but I just wanted to say, I made this last night and my kids devoured it. It was amazing!!! They begged me to make it again. Thanks for such a wonderful recipe! I made this over the weekend and it’s very good! I didn’t have the heart to toss all those yummy the veggies and I left the bones in, and served it over polenta with some Parmesan cheese stirred in. It was more of a stew that way but oh, so good. Thank you for a keeper recipe! I looked at that first photo and before I knew it I noticed I was salivating. That NEVER happened to me before no matter how many blogs I’ve visited – until today. I can’t wait to make this for myself (obviously). Ha! 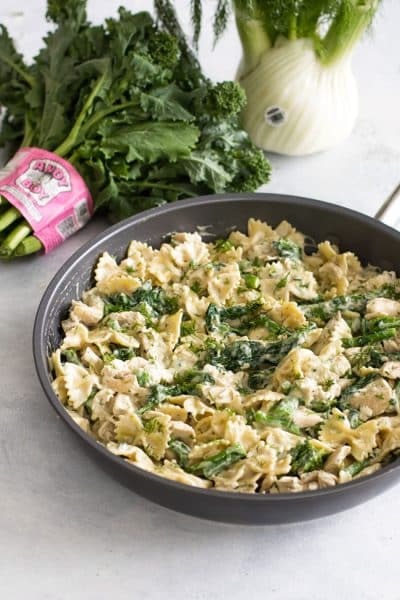 I love it…I’m totally Rachel Ray during the work week 😉 This looks like a delicious meal! I’ve only just discovered how amazingly delicious short ribs are when cooked in the slow cooker. Yours look so amazing! Slow cooker + ragu + amazing photos = this recipe is on my meal plan for the week! This looks so incredible and comforting. And I’m with you: weekdays like Rachel and weekends like Julia! Love it! 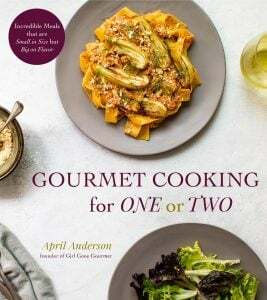 Well April, this looks amazing, I love slow cooked food, nothing like it, I will definitely be trying this recipe. Thanks. Wow! It’s almost midnight (well 100 AM because of the time change) and I should be thinking about going to bed, but I’m jus thinking about how much I want a bowl of this scrumptious short rib and mashed potatoes. This looks wonderful April. A great comforting weekend meal. Thanks for posting this recipe.